A couple weeks ago, Megan and I took a little jaunt up to Portland, Maine for the weekend. 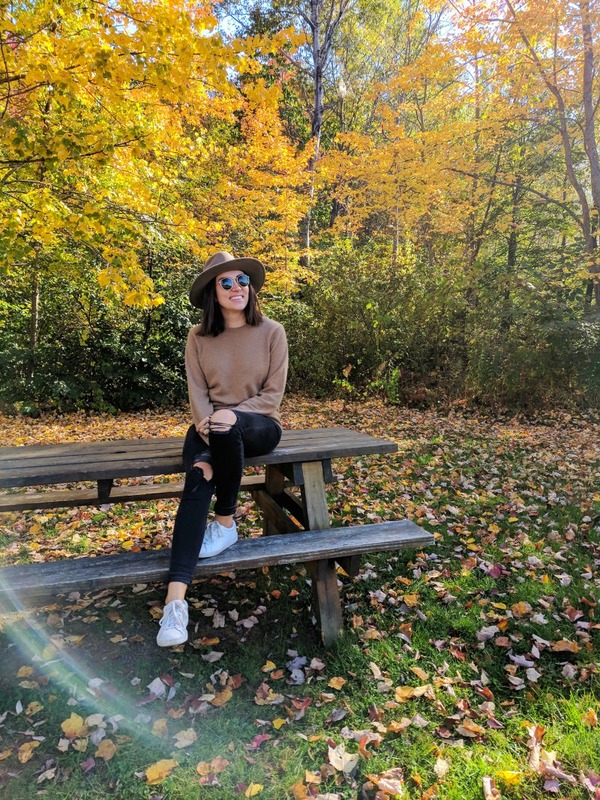 We were jonesing for a fall getaway, and since New York has been a little slow on the uptake, we had a feeling that we'd get the foliage, apple cider and highly layered outfits we wanted if we went far enough north. Despite it being the end of October in Maine, we didn't get everything we asked for from our trip. Daytime temps hovered around 70 degrees! Nevertheless, we persisted. And naturally, had a wonderful time despite sweating slightly in the sweaters we packed. 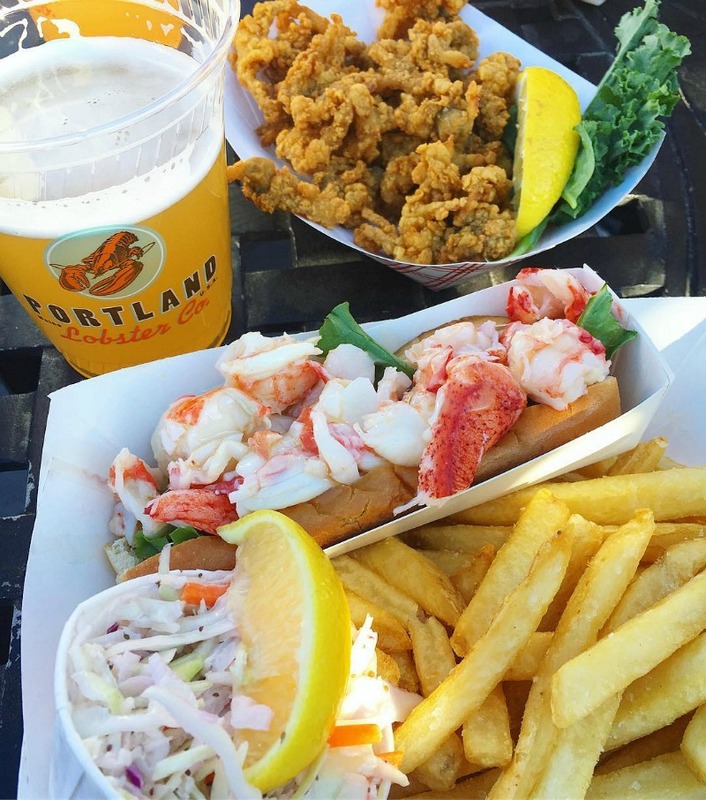 We hit up a few of my favorite spots from past trips (sadly my ultimate lobster roll spot, The Clam Shack, was closed for the season) and had some amazing new experiences, too. Most importantly, we created the most delicious breakfast food you'd never even dream was real. After the tragic discovery that The Clam Shack was closed, Megan and I made an almost-as-delicious backup plan. The day we arrived the sun was bright and warm, so we were able to sit on the patio at Portland Lobster Company with cold beers and full trays of seafood as two guys played classic rock covers. As I mentioned in my Portland guide, this place feels a bit expensive and tourist-y, but you can't beat the atmosphere and location. After a rather enthusiastic Friday night of dinner at Honeypaw and many rounds of drinks afterwards, Megan, Luc and I were in need of a strong Saturday morning fix. 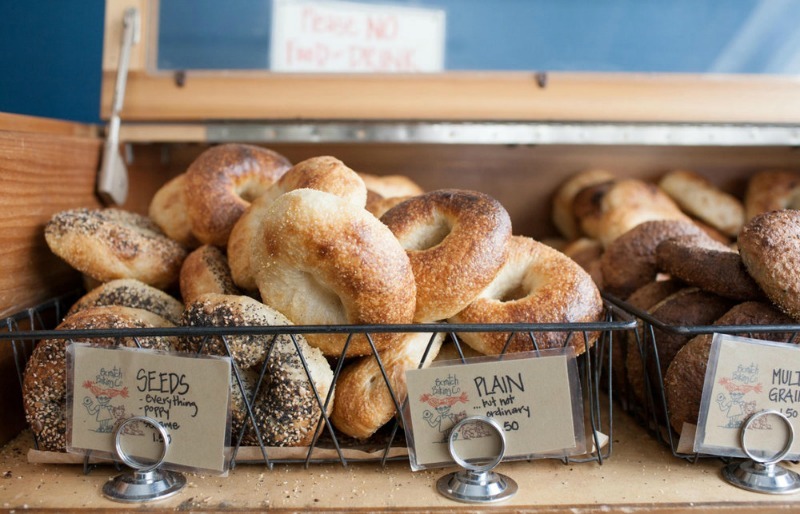 Luckily, I had been thinking of almost nothing since we arrived but the bagels at Scratch Bakery in South Portland. Neither Megan nor Luc had ever been (even though Luc, our host, is a local! ), so we piled in the car and made the drive from Folmouth to S. Portland. After waiting for a fresh and hot batch of bagels, we sat at a picnic table (surrounded by really cute dogs) and began to schmear. I could not wait to get Megan and Luc's reaction to what I have deemed the absolute best bagel—if not one of the most delicious bread products—on the planet. When I asked for her thoughts, Megan said between bites, "That's really f**king good." I had a feeling she might feel this way, so I bought a few more bagels for the road. 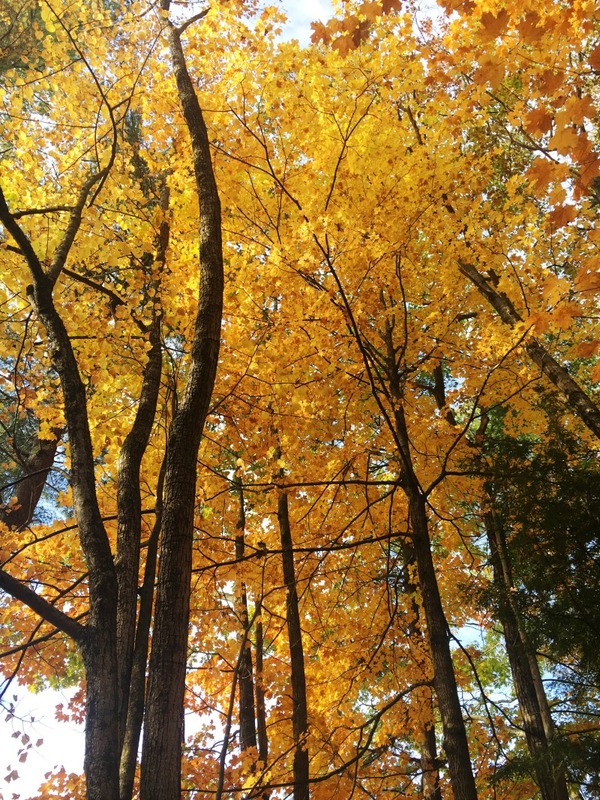 After breakfast, our bodies and spirits revived, we took a scenic walk around Mackworth Island. This lovely little trail is easy and just over a mile long, perfect for getting our scenery and fitness fix for the day. 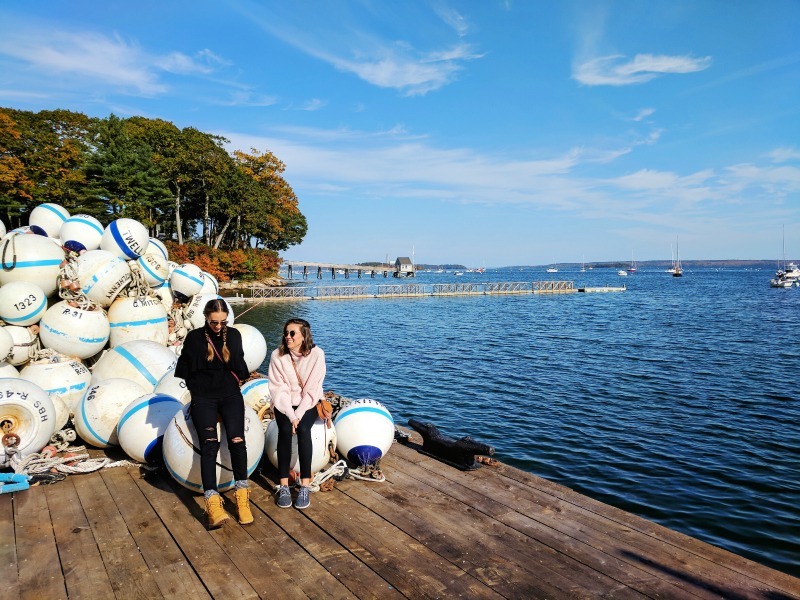 Little did I know, this pretty little island with endless views of Casco Bay was just the tip of the day's, "Oh my God it's so pretty!" iceberg. After an epically gorgeous drive blasting my Maine playlist with the windows down, we arrived at Brandy Pond. Luc keeps his boat here, and took us out for a picnic pleasure cruise on Saturday afternoon. We ate some seriously delicious and very aggressive sandwiches and washed them down with fresh apple cider—all from an adorable spot called, fittingly, The Good Life Market. After returning from our afternoon on the water, it was time to get cleaned up and prepare to eat more. 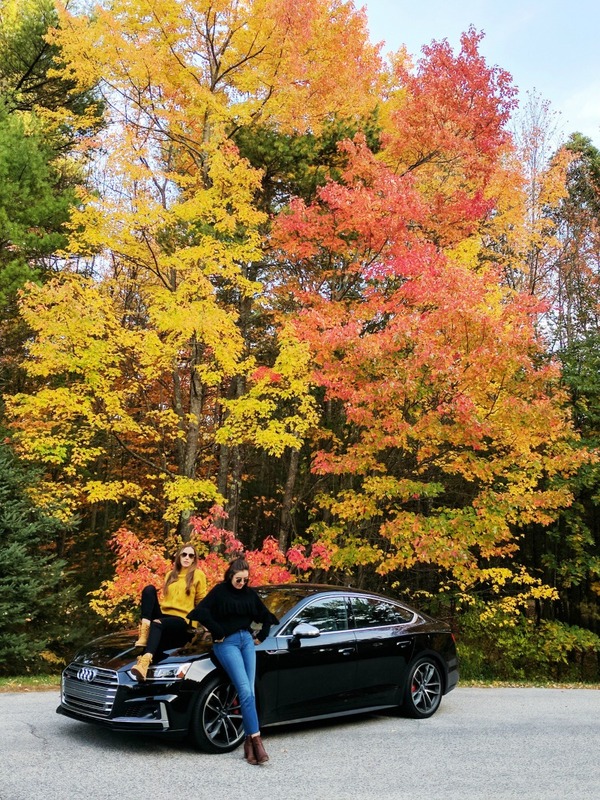 Because in Maine, if you're not looking at a gorgeous tree or eating something delicious, what are you even doing? Since Luc is the kind of Maine local who always "knows a guy," we headed down to the docks that evening to pick up our dinner. And by that, I obviously mean a big ol' bucket of live lobsters. This was an especially exciting highlight of the weekend for Megan and I, and if you were tuned into my Instagram stories over the weekend, you got a play-by-play of what it was like to drive back to the house with a bucket of squirming, living lobsters between my feet in the front seat of an Audi S5. I won't get too overly zealous in my description of this dinner, because I don' think you deserve that kind of torture. But I will say that if you're going to do the job of putting a live lobster in boiling water yourself, you better damn well appreciate the results. 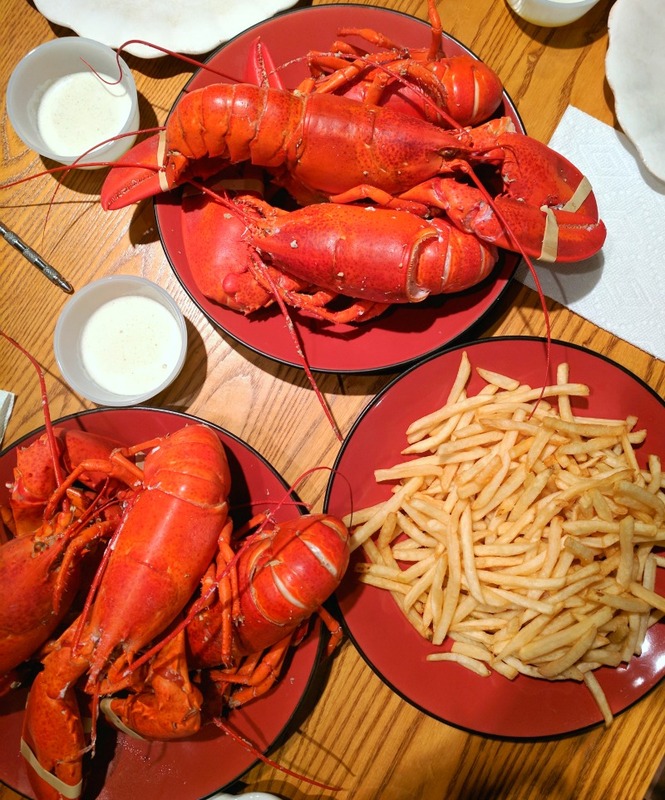 And with a dish of drawn butter and a handful of McDonalds fries to go with them, I appreciated the hell out of two entire lobsters that night. It was glutinous and glorious and I'll never be the same. 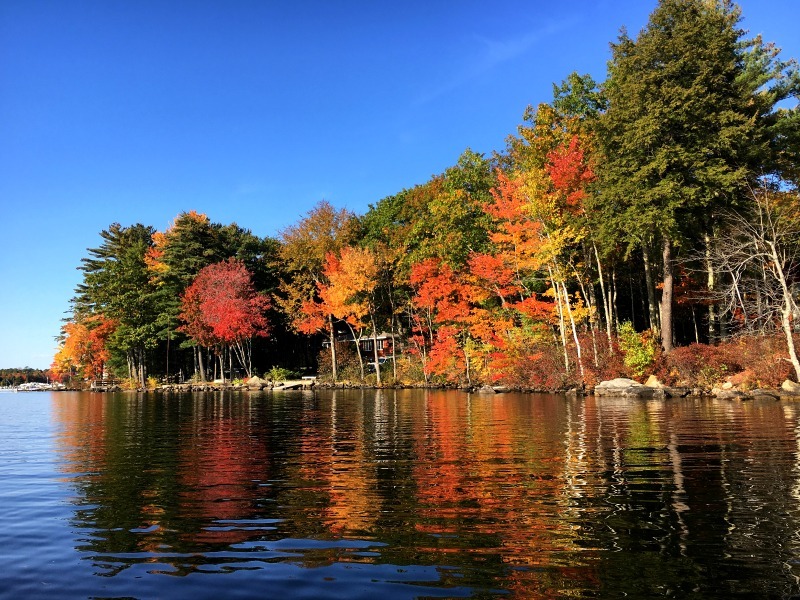 Our last day in Maine started with another little walk through the foliage, and we decided to make brunch at home. Somehow late Saturday night after downing all those lobsters, I was able to clearly see that I would in fact, be hungry again the next morning. I thought of the extra bagels I bought from Scratch. I thought of the two leftover lobsters from dinner. Suddenly—I knew what had to be done. On one side of this perfectly toasted, golden brown bagel? Plain cream cheese. On the other? Melted butter, a fried egg and lobster meat tossed with drawn butter and chives. Believe me when I tell you, there is nothing more delicious on earth than this. 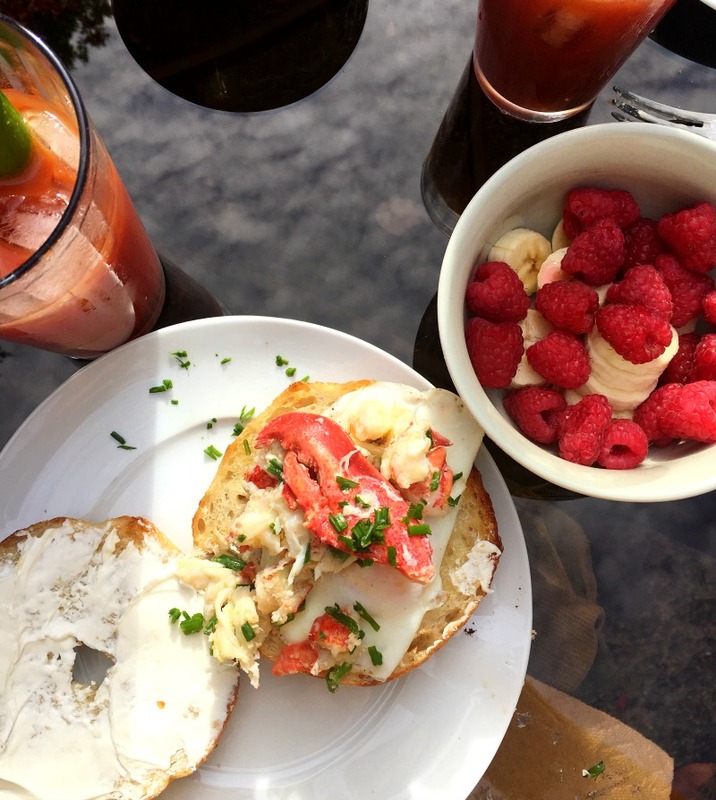 We accompanied our bagels with coffee, homemade Bloody Marys and fresh fruit, then sat back and congratulated ourselves on being breakfast geniuses. Oh, and did I mention that we ate this meal sitting outside amongst the changing leaves and glorious fall sunshine? Because we did. Before embarking on the long drive back to New York City, we decided to take another drive up the coast for our last local beers and to soak up some more sunshine. We accomplished this goal at the Dockside Grill, and even made time to pose for some photos with these very on-brand buoys. Between this write-up and your Nashville guide, I have some traveling to do! And the photoshoot that you turned into your album cover cracked me up!